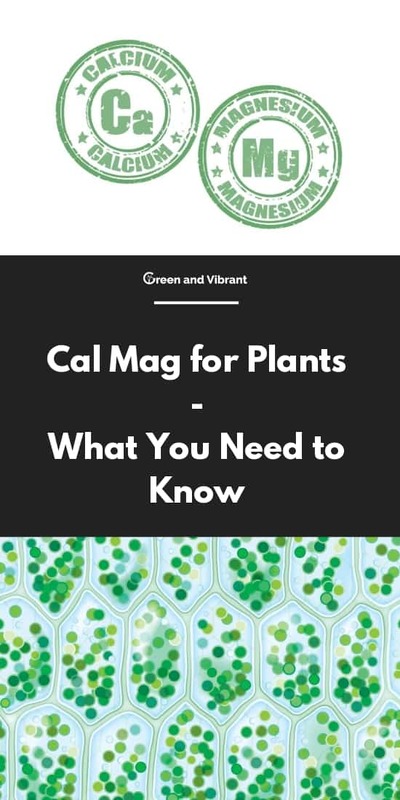 When it comes to plants' nutrients, besides Nitrogen (N) Phosphorus (P) and Potassium (K), two of major nutrients you often hear are Cal-Mags. Calcium and Magnesium supplements are not only be used for soil plants but they are super important for hydroponic gardens as well. This article will focus exclusively on the importance of these supplements, popularly called "Cal-Mag" for short. We'll also discuss when, and how much you should use Cal-Mag when growing plants. Why does your garden need Cal Mag? Our main aim when we grow plants, be it in a garden or a hydroponic system, is to have them thrive and create high yields. That is the focus, not just to have them survive and get by. All living things need nutrition, and plants are no exception. They need macronutrients like carbon, nitrogen, oxygen, phosphorus, and potassium to survive. But they also need other minerals, called secondary macronutrients and micronutrients to stay healthy, grow properly and deliver better yields, be it in the form of flowers or fruits. They are called secondary macronutrients and micronutrients because plants need them in lesser quantities than the primary macronutrients. Let's have a look at the image below to understand which nutrients are primary macronutrients, which are secondary macronutrients, and which are micronutrients. 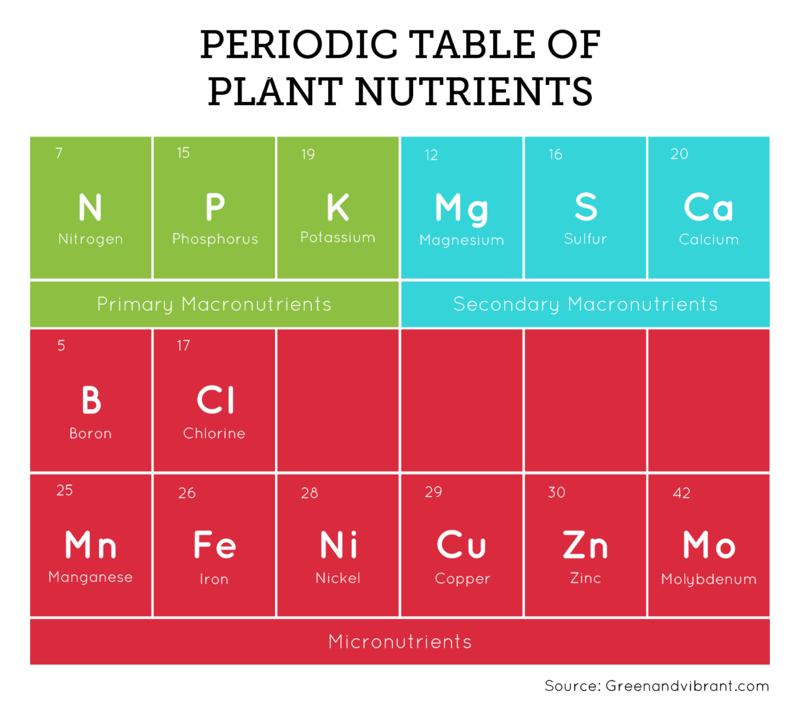 As you can see Calcium and Magnesium are two of the most important secondary macronutrients for plants out there, along with sulfur. Those three are together are also called as secondary nutrients. Incidentally, calcium and magnesium are also vital for animal and human health, but for different reasons. Plants in nature receive these nutrients from the soil and water. But in farming and gardening, the plants are dependent at least partially on fertilizers. The situation is even more extreme in hydroponics, where your plants are entirely dependent on the nutrients you add to the reservoir. Even more so if you use distilled or RO water, but more on that later. As they say, prevention is always better than cure. Ideally, you should be ensuring that your plants get an adequate supplement of calcium and magnesium, rather than waiting for symptoms of deficiencies to show up. Both minerals are vital for the essential biological processes in a plant body. Let's look at both separately, as they affect different processes and systems. In animals and human, calcium is primarily essential for the skeletal structure or bones. Plants to do not have bones or teeth, but calcium does play a key role in their structure. 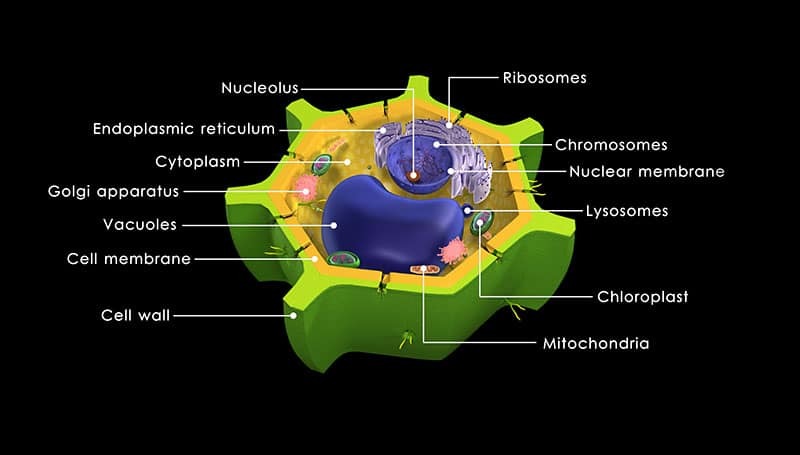 One of the main difference between plant and animal cells is the presence of a cell wall in plant cells. It gives these cells more rigidity, and allow plants to have a strong structure and shape despite not having a skeletal system. Not surprisingly, calcium is necessary for healthy cell walls. The mineral is found in the form of calcium pectate in plant cell walls. 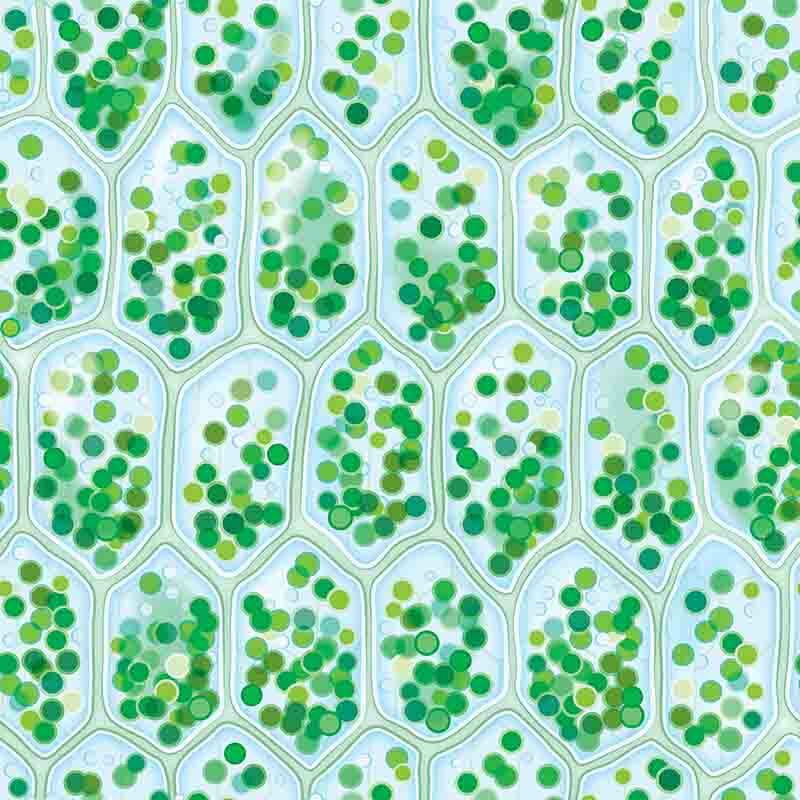 A healthy cell wall also regulates the proper transfer of other nutrients to different parts of the plant. This is especially true for plant cells at the roots. So calcium is crucial for healthy cell division and formation in plants. Without it, the overall growth of different parts of the plant will be stunted. Calcium is also vital in activating specific enzymes in some plants. The mineral has a key role in important activities like nitrogen metabolism, and translocation (the movement of organic molecules in plants). In fruit trees and plants, calcium is essential for the growth and development of healthy fruit structure. Much like calcium, Magnesium also plays a very significant role in enzyme production in plants. In fact, many important enzymes cannot be created at all in the absence of magnesium. But like in the case of calcium, enzyme production is rather a secondary function of magnesium in plants. Its primary usage is something far, far more important, not just for plants, but also for almost all animal life. Chlorophyll is an almost magical substance that creates plant food and indirectly supports all animal life on planet earth. And plants cannot create chlorophyll in their cells without magnesium. The green colored compound that we call chlorophyll is a chelate in chemistry. That means it has a central metal ion bonded to an organic molecule. The organic molecule is called porphyrin, and the central metal ion is, you guessed it, magnesium. Magnesium also helps out in processes like absorption and transport of key nutrients like phosphorus and iron. And in fruit plants, it also helps the fruit to reach full maturity. To understand how nutrient deficiency affects plants in general, and especially the case of Cal-Mag, we need to understand the concept of nutrient mobility. Once absorbed through the roots, some nutrients are mobile while others are immobile. Mobile nutrients can be transported from one part of the plant to the other, even after they are deposited. Immobile nutrients, once deposited in one part of the plant, cannot be moved elsewhere later. They can only be transported straight from the soil, dissolved in water. Calcium is an immobile nutrient. If there is a deficiency of the mineral in the soil or nutrient solution, the growing ends of the plant usually show symptoms first. 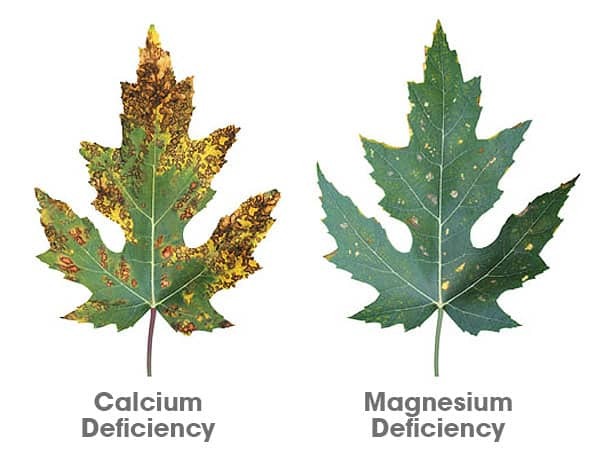 Localized rot and stunted growth are the most common signs of calcium deficiency. Young leaf tips, buds, and fruits are the areas which are most affected. The roots are also severely affected by stunted growth further affecting the overall growth of the plant further. Unlike Calcium, magnesium is mobile, so in the event of the deficiency in one area, the plant can reallocate magnesium from parts which already have the nutrient. This means that older, more mature parts of the plant will show the first signs of deficiency. And since magnesium is essential for chlorophyll product, yellowing of leaves is a sure sign. These leaves usually have green veins. Photosynthesis and food production is affected and continued deficiency results in aging and death of the plant. When Should I Use Cal-Mag? Calcium and magnesium are abundant in natural water as dissolved minerals. In usual growing environments, plants should get enough of these nutrients from the soil/water itself. The minerals are also available in most tap water supplies. So you only need to worry about providing Cal-Mag in exceptional conditions. Soft water has a lower pH and fewer minerals in it. If your area has this kind of water, you may have to look for Cal-Mag supplementation. In contrast, harder pH levels indicate higher concentrations of calcium and magnesium. If you use this water (untreated) for your plants, you should not need any Cal-Mag supplements. But water treatment is one situation that definitely calls for Cal-Mag supplements. RO and distillation are processes that remove minerals from your water. If you use treated water for your plants, it might wiser to opt for Cal-Mag supplementation from the get-go. But there is no benefit from bombarding your plants with Cal-Mag supplements unless you are aware of potential deficiencies. In most cases, your plants should get enough cal-mag from the water and soil itself. High humidity and temperatures can also lead to conditions where Cal-Mag deficiencies occur, despite the abundance of the minerals in the soil or water. Improper pH levels are another reason for nutrient deficiencies as well. So you need to check these other important factors before zeroing in on Cal-Mag supplements as the answer to your problems. The need for Cal-Mag also varies, depending on the type of cultivation and the plant species. In the garden soil, calcium deficiencies can occur due to several reasons. Sandy, coarse soils contain less calcium. Lack of adequate water or use of RO treated water can also result in calcium deficiencies. At times, heavy use of phosphorus-based fertilizers results in the creation of insoluble calcium in the soil. Cal-Mag supplements for the soil are available in almost all garden stores. These are available as pre-mixed powders or in liquid form. Hydroponic plants are especially susceptible to Cal-Mag deficiencies due to the absence of soil and access to rainwater. If you use RO or distilled water, the chances are high that your plants are getting next to no Cal-Mag. The same also applies to situations where you are using growing media like coco coir. Highly soluble powder and liquid variants of Cal-Mag are available for hydroponic growers. Where can I buy Cal-Mag supplements? How Much Cal Mag Should I Use? If you are buying pre-mixed Cal-Mag supplements, the manufacturer will usually have recommendations for serving sizes. You should ideally stick to those levels (or slightly lower) for best results. You can also cook up your batch of homemade Cal-Mag supplements, using Epsom Salts (magnesium sulfate) and Calcium nitrate (a common fertilizer). The ideal ratio is two parts calcium to one part of magnesium. A safe homemade Cal-Mag concentration would be 380ppm, with 260ppm Calcium and 120ppm Magnesium. For reference, you would need around 6g of calcium nitrate and 4.5g Epsom salts per gallon of water. But this is just a sample. In specific situations, you will have to adjust the nutrient levels to accommodate the type of deficiency you are trying to correct. Always be mindful of the quantity of Cal-Mag you use, as these supplements contain either nitrates or carbonates. Excess use can lead to increased levels of these molecules, which can be bad for your plant in the long run. Cal-Mag deficiencies can be catastrophic to gardens as well as hydroponic systems. But in most instances, Cal-Mag supplements are not essential as both nutrients are very easily available in water and soil. But in exceptional circumstances, supplements are essential. Due to a greater emphasis on water purity and pH levels, hydroponic growers are more likely to be affected by Cal-Mag issues than garden-based growers. Regardless of your growing medium, always remember that you are dealing with plant micronutrients. A little often goes a long way here. wao!!! this article is so interesting, simple and straight forward, it has really help me a lot. Thanks so much.